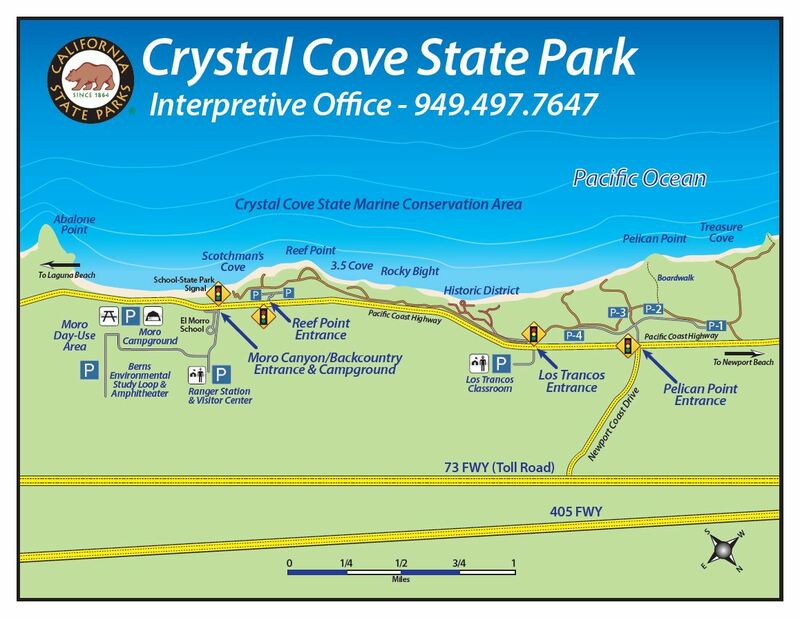 The park is located off Pacific Coast Highway between Corona del Mar and Laguna Beach, California with easy access from I-5, 405 and 73. Pacific Coast Highway, Route 1, passes directly by the Park. There is parking both on the ocean side of PCH at stop lights (Reef Point and Newport Coast), as well as inland parking at the stoplight, School/State Park, located next to El Morro Elementary School. A few miles north from Reef Point is the Los Trancos parking area with trolley access to the Historic District.